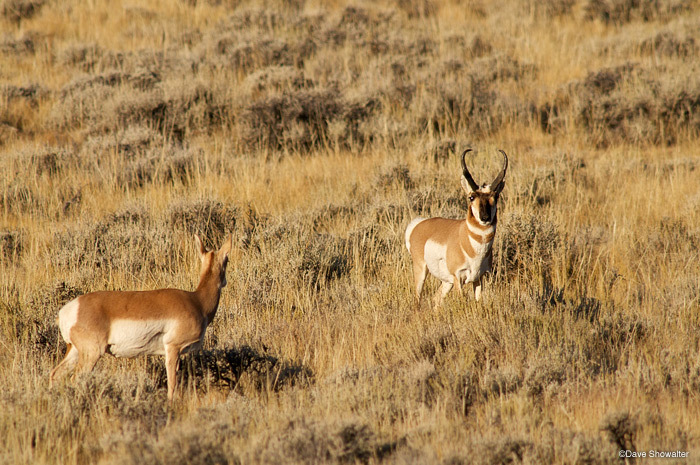 During autumn rut, this pronghorn buck herded a resistant doe back to his harem in McCullough Peaks. Antilocapra americana. Photo © copyright by Dave Showalter.